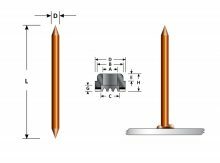 Double Pointed pins are normally welded with an Arc or Drawn Arc Stud Welding machine. Like other weld pins, insulation is impaled over the welded pin and secured with a Self-Locking Washer. When arc welding, the pins can be welded to rough or contaminated surfaces, without preparation. Double Pointed pins can be welded with the AGM Model PA-15 CD Welder, but only to clean surfaces*. Standard Diameter, Lengths & Materials are listed – other lengths or 12 gauge available as Special Order. 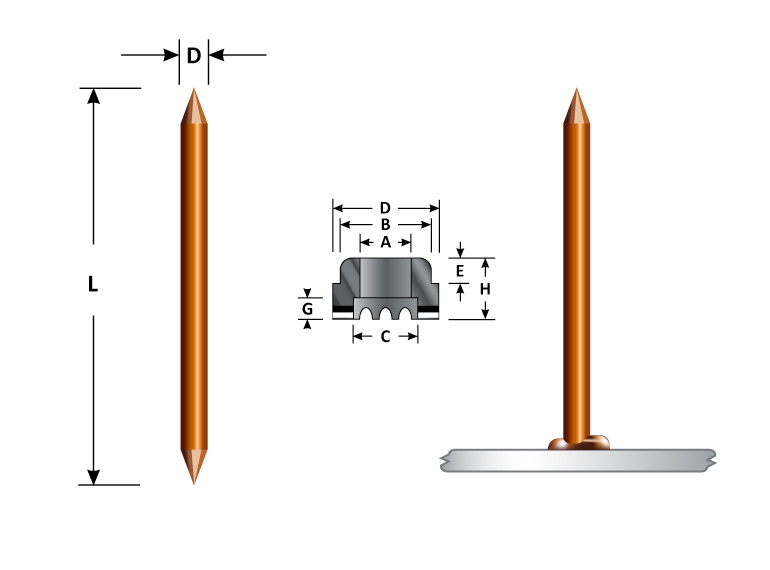 Ferrules are supplied with pins for arc welding applications.